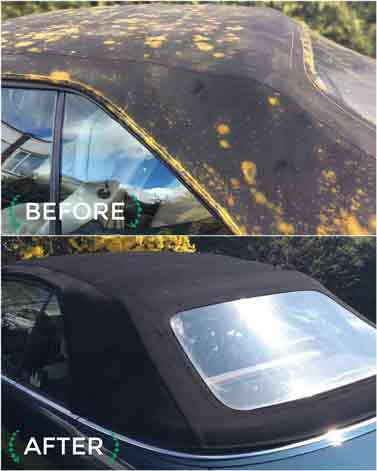 The best product to remove mould from a fabric convertible top is Renovo’s Fabric Soft Top Cleaner. It is a very simple task and can easily be completed in less than a day! 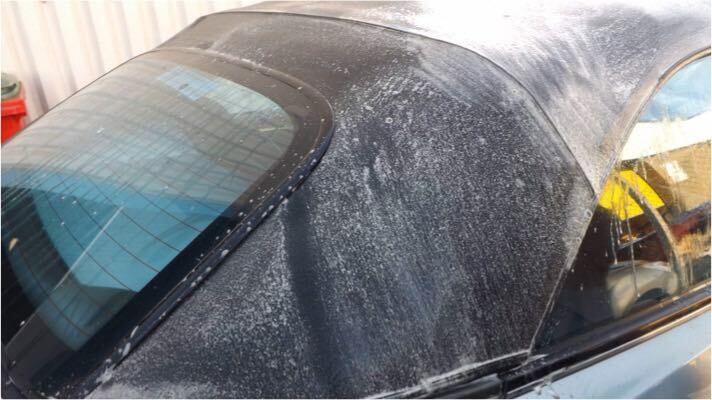 You should first paint the Fabric Soft Top Cleaner onto the entire hood with a new/clean 5cm paintbrush. Once you have painted the cleaner onto the top, leave it for an hour to absorb into the fibres of the material. Once the hour has passed, you must then give your top a good scrub with a soft bristle brush and hand hot water, (the hotter the better, but please do not burn yourself!). 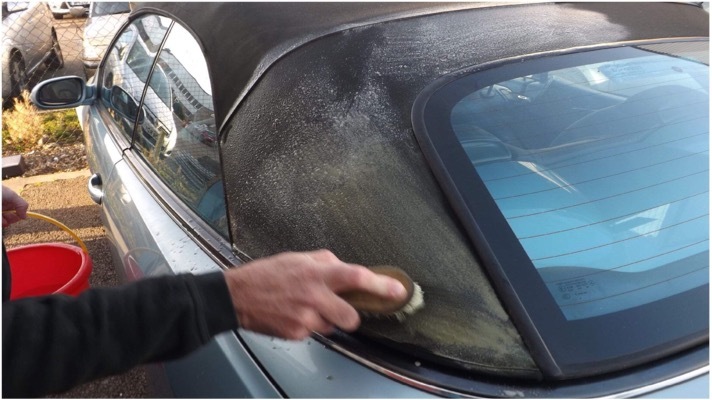 As you are scrubbing, you should be able to see the mould being lifted from the soft top, and running down your windows……. It can smell rather nasty too! 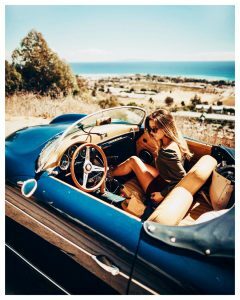 After you have finished giving your soft top a good scrub, ensuring that you were careful around the stitched areas, you should then give your top a rinse to remove any particles of mould, and any Fabric Soft Top Cleaner that is still present within the fabric! 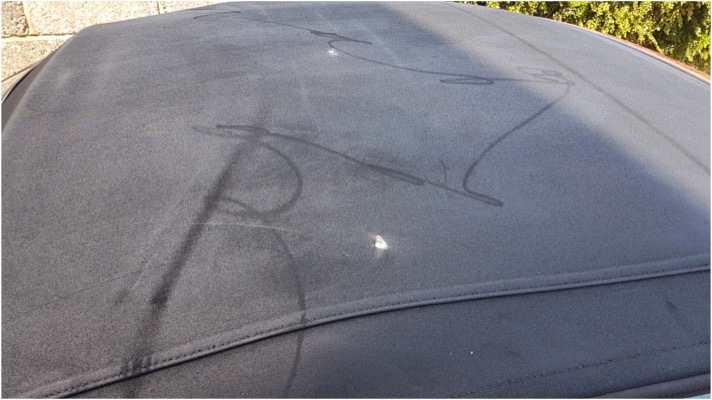 I will also add that it is important that you NEVER use a jet washer on your soft top, as the power of the water can cause permanent damage to your soft top that even we cannot mask! You may have to repeat this whole process until you are satisfied with the final result; it depends on how bad the condition of the top is and how hard you have worked! 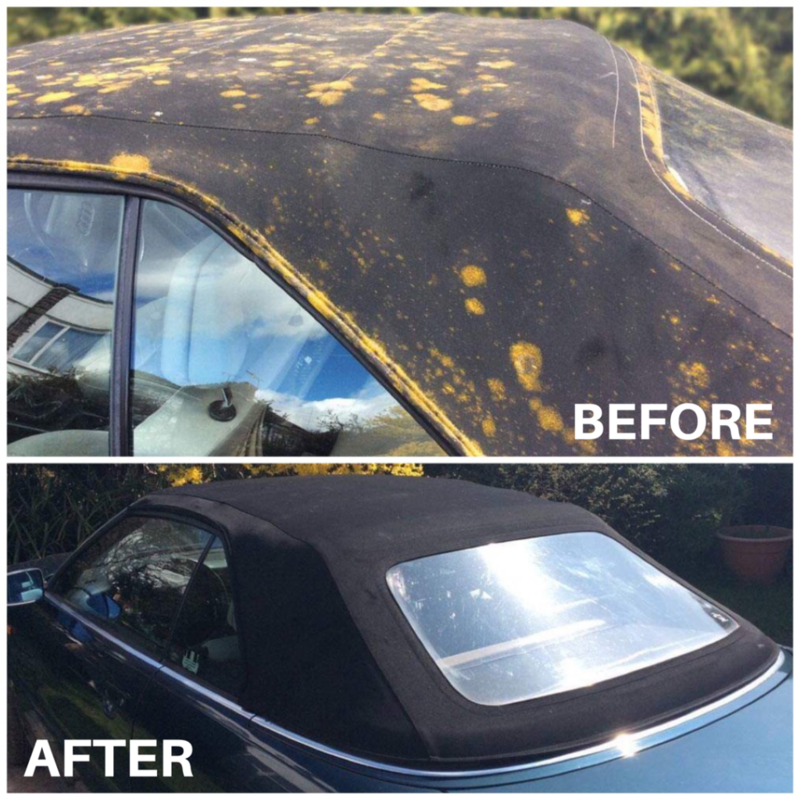 Once the top is beautifully clean, you may want to consider restoring the colour with Renovo Soft Top Reviver, which could help with masking any areas that have lost colour due to the mould leaving scars on the material. 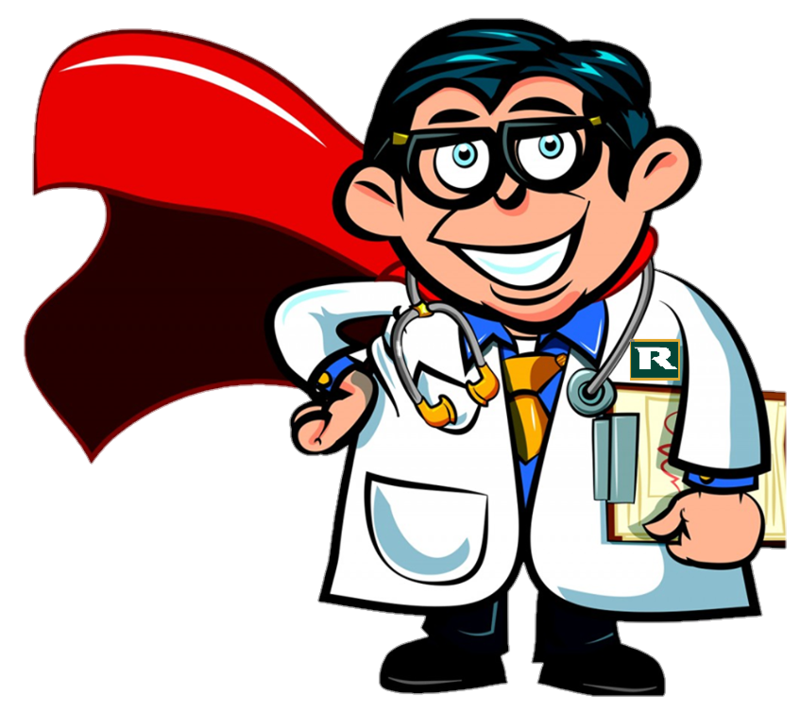 Unfortunately, scarring is a very common occurrence if the mould has been allowed to take root deep within the fabric of the hood. You can then keep the top protected using Renovo Ultra Proofer, which will greatly help to prevent the top from becoming ingrained with dirt and mould if applied on a regular basis; approximately every 6 months, is about right. I hope this information has been helpful, feel free to contact me if you have any further questions!